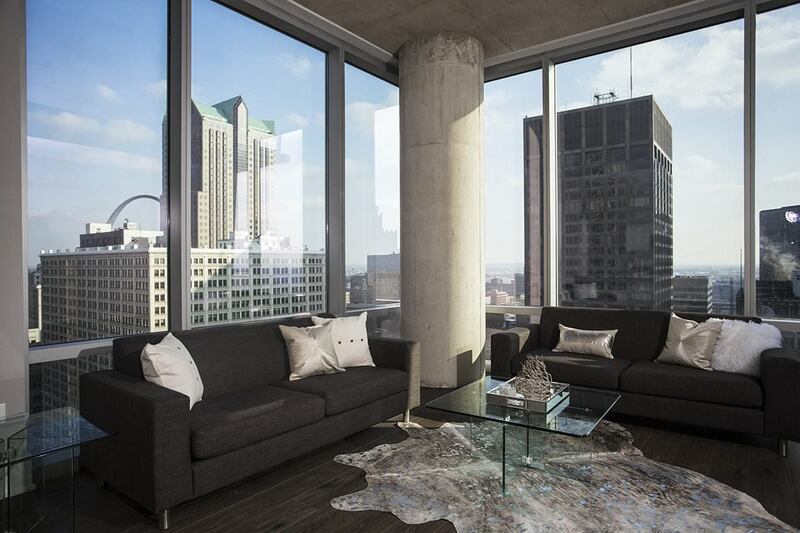 The Tower at ŌPOP is the first new residential high-rise tower to open in downtown St. Louis since the 1960’s. 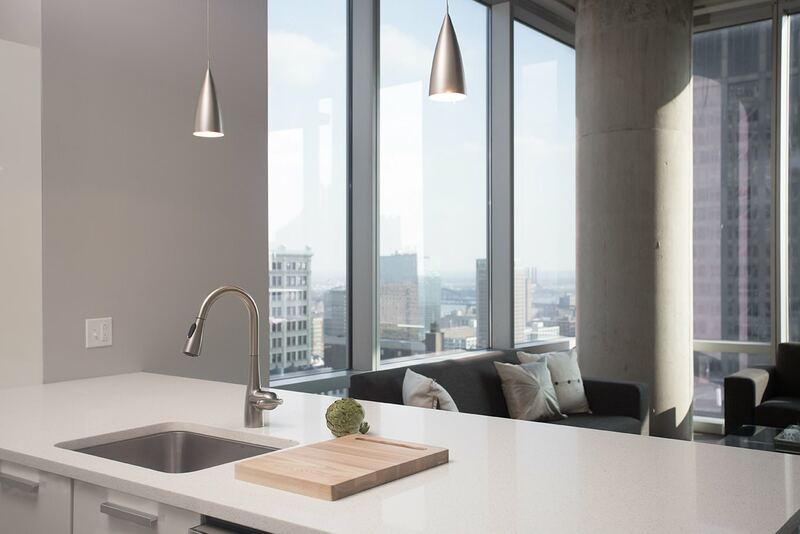 HPA was retained by developer UrbanStreet Group to design the interior build-out of the 25-story concrete shell that was left unfinished for five years due to the economic downturn. A clean and sophisticated interior aesthetic compliments the contemporary glass and concrete exterior. 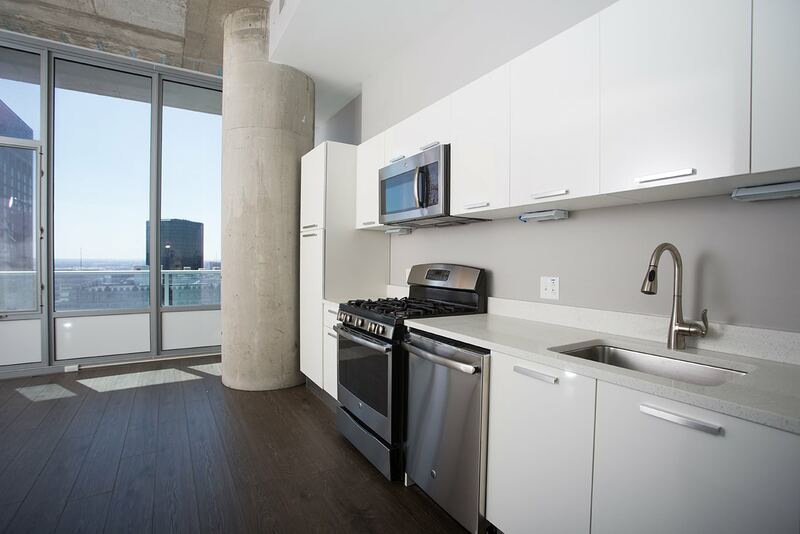 The 128 luxury apartments feature high ceilings, flexible layouts and upscale finishes. 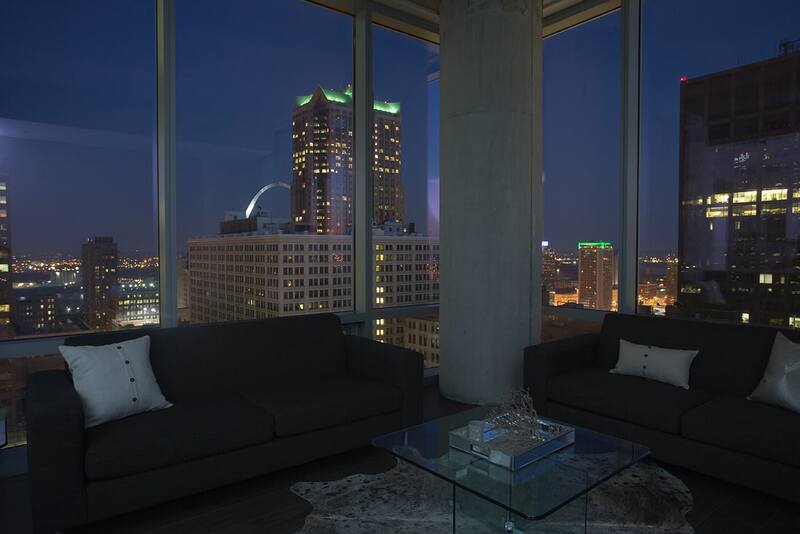 Expansive amenity areas include a business lounge, fitness room and double-height clubroom and rooftop terrace with city views of the Gateway Arch.